J and Brian try to figure out whatever happened to the tomorrow of yesterday — does today’s science fiction rely too much on the future as it was imagined in the 1940s and ’50s? Whoa, heavy stuff. Fortunately, they lighten it with nonsense about Miley Cyrus, movie remakes, and J’s long-overdue viewing of Cabin in the Woods. 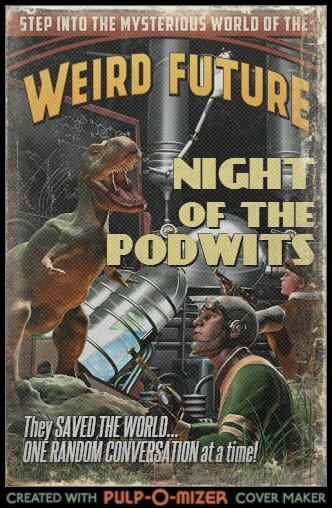 Come have a ball with us on the latest Podwits Podcast!